A research conducted by Stanford University’s School of Medicine found that the Apple Watch can spot irregular heartbeat in users. This eight-month long, Apple-sponsored study covered more than 400,000 participants from all across the country. Last year in November, Apple announced this ‘first-of-its-kind’ research using Watch’s heart rate sensor to collect data in the background and notify users who may be experiencing atrial fibrillation (AFib). The research was conducted using the Apple Heart Study app for users who were 22 years or older. For those who don’t know, AFib is a leading cause of stroke; it’s responsible for about 130,000 deaths in the US each year. What makes AFib more dangerous is the fact that it can often go undiagnosed. Coming back to the study, it found that 0.5 percent of more than 400,000 participants received irregular heart rhythm notifications. Once the sensor detected AFib symptoms, a consultation with a doctor and an ECG patch were provided for further monitoring. Out of the patients who agreed to wear electrocardiogram for a week, 34% were found to have AFib. Stanford says that AFib is an intermittent condition and can go undetected in patch monitoring. 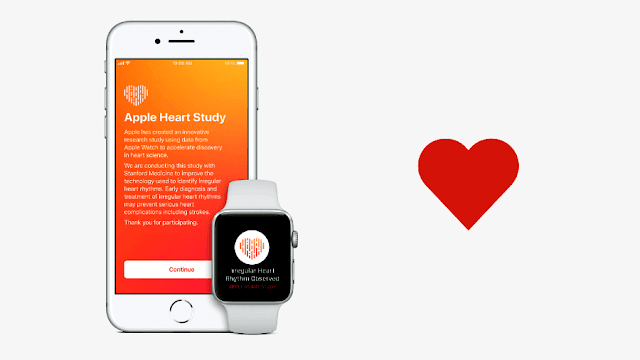 Apple COO, Jeff Willians, said that the company is proud to work with Stanford and hopes that Watch users will continue to gain actionable insights regarding their heart health.